Fake Skin for Stitches, Scars, Etc. 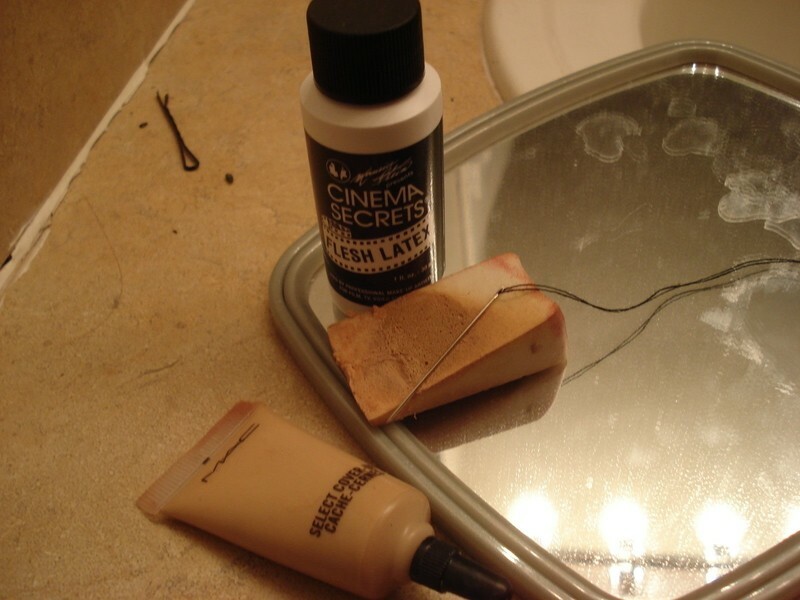 How to make fake skin for Halloween and other costumes, using liquid latex and makeup. 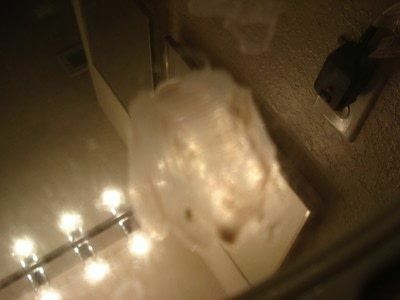 Dip the sponge in the latex and pick up a little. Wait for the latex to dry. 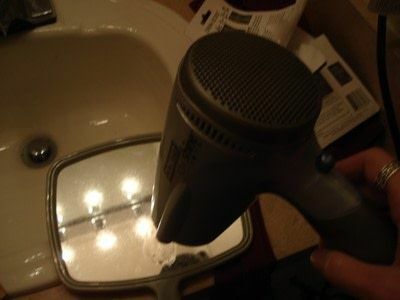 Or blow-dry it on low if you're impatient. 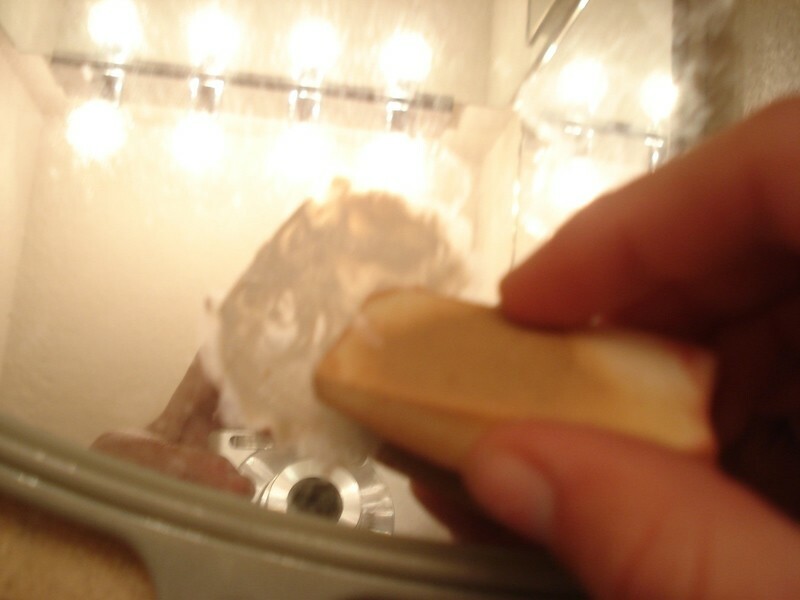 Continue dabbing on thin layers and drying until the latex is the thickness you want. 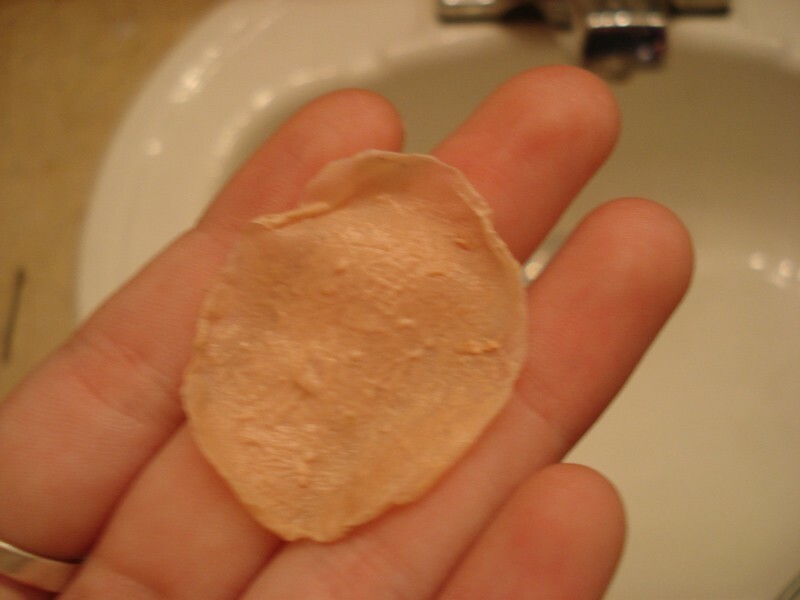 If you're making a scar, you can do thicker, less even layers to make it look ragged, or build up very gradually for one that looks more healed over and old. If you're going to make stitches (or just some peely skin), you don't need it to be as thick, so just add layers until it's not transparent anymore. Peel off the latex. Try not to let the edges roll up on themselves. If they do, you can trim them off with a pair of sharp scissors or a razor blade. 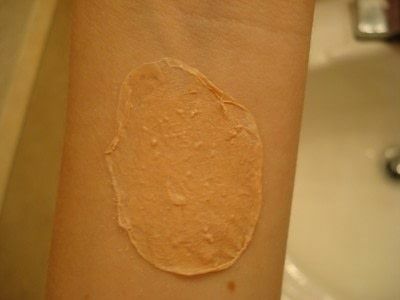 Apply a little bit of liquid latex directly to your skin and stick on the "skin". Let it dry for a moment. If you want the skin to be really smooth, stick it with the side that was on the mirror up. If you want it to be rougher, stick it the other way. I chose the rough way. 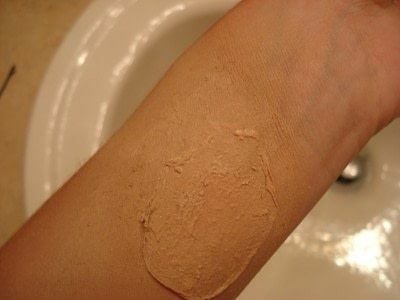 Add more latex to blend the edge of the fake skin into your real skin. 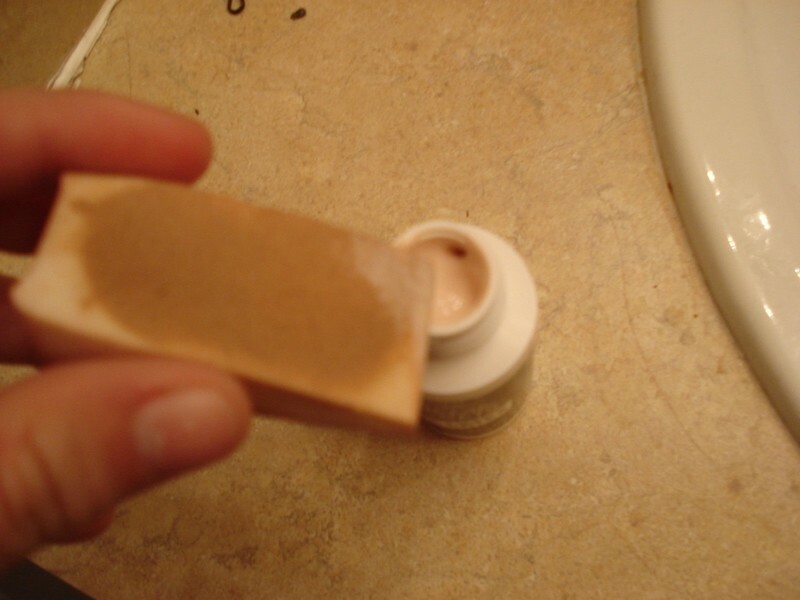 Then apply your concealer/foundation. In the picture I only blended the top left edge. 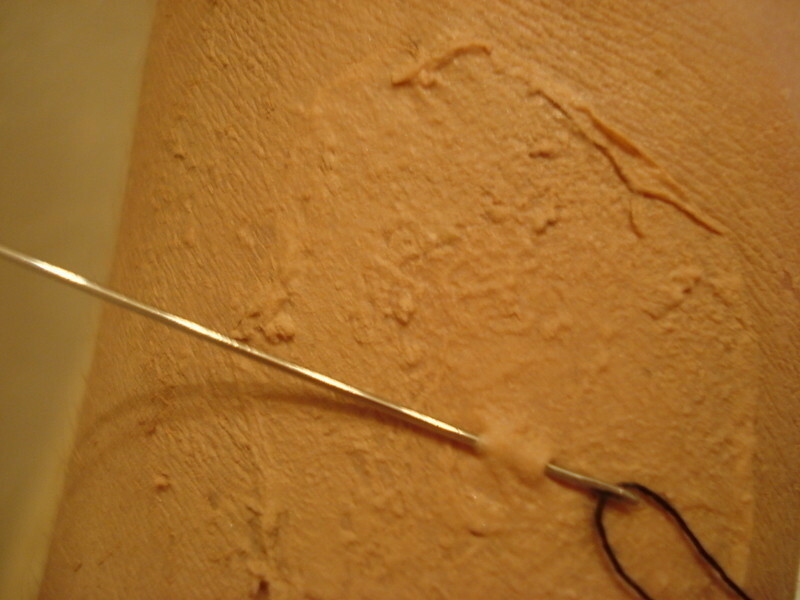 CAREFULLY stick the needle through the "skin". 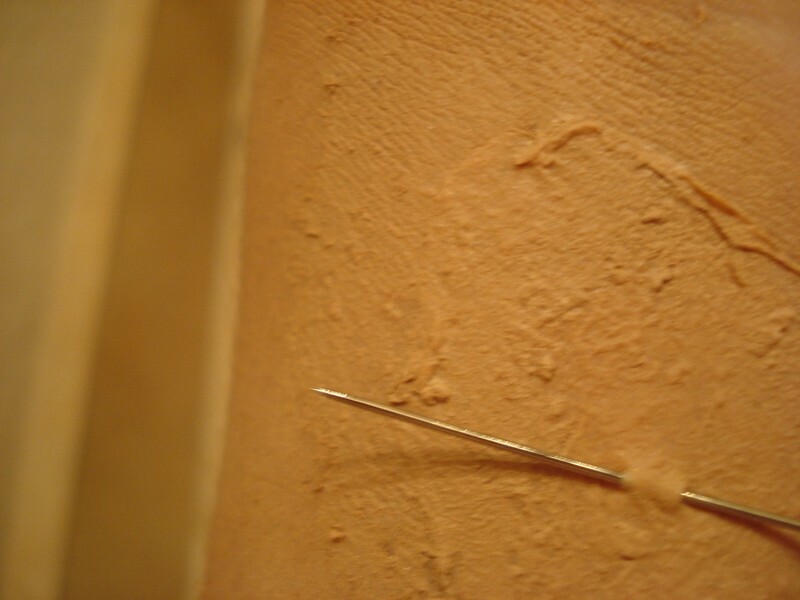 Don't sew through your arm. It hurts. i am sooooo gonna use this for our halloween contest!!!thanks!!!!! You could probably try liquid bandage if you can't get latex. It may be freay, but I used my actua skin for stitches. The upper layer. It won't hurt me. Cool! Except my skin is SO light. NO cover up matches. THATS SO AWESOME! 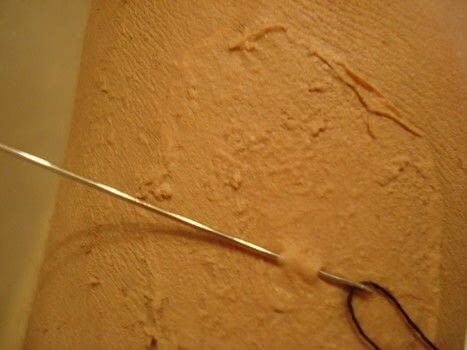 But I've got a different idea for the stitches. Instead of doingthe stiches like that, you build up the lates at two points, like a mountain ridge with a crevace in it. In the crevace, make it more red/blackish and then stich the sides of the crevace together. COOOOOOOOOOOOOOOOOOOOOOOOOOOOOOOOOOOOOOOOOOL!! I LOVE IT SOO MUCH!! !